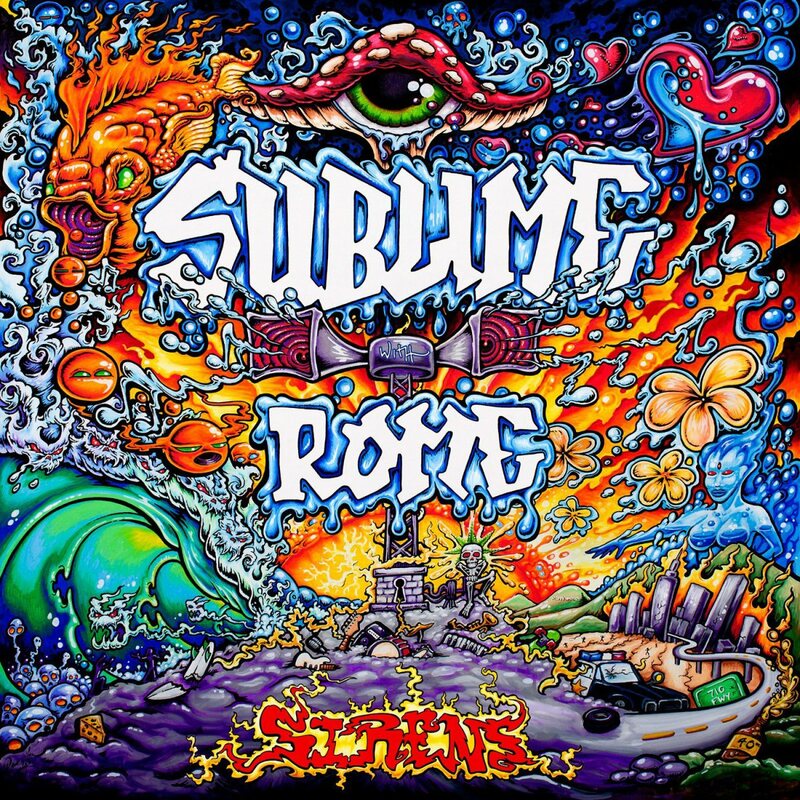 When the surviving members of Sublime decided to start touring and recording together under the Sublime name again, they did so with a talented singer/songwriter by the name of Rome. Not only were Rome’s songwriting sensibilities in line with the ska/punk/reggae/hip hop mixture that defined the classic Sublime sound in the 90’s, but his singing voice was a close ringer for Bradley Nowell’s. After a short legal battle with Nowell’s family over the use of the name, Eric Wilson and Bud Gaugh settled on an amendment and Sublime with Rome was born. We caught up with Rome in the wake of the release of their newest album ‘Sirens’ to talk about the record, the history of the band, and working with the ‘best drummer in rock n’ roll’. ‘Sirens’ sounds very organic. How much of this album was recorded live off the floor? Rome: The majority of it was. The majority of the album we tracked together in a giant room through this really old Neve console using vintage gear. Everything was done with that kind of fidelity in mind. So when it came down to overdubs, we didn’t have to do too much. And mixing and mastering was a breeze, because of the way we recorded the songs. Did that mean the rehearsal period leading up to the recording of the album was more intensive? Rome: We had a lot more time to create this record, than we did the last one. Which was good when it came to weeding out the eleven or so songs for the album from the nineteen we had when we started. But having more time is crucial for doing albums. What is the process like when shaving nineteen songs down to eleven or twelve? Rome: A lot of the time, it happens as you go. You can work on a song for two days and then the next day you wake up and think ‘dude, I don’t want to sing that song every day on tour.’ So you have to really try to be honest with yourself. It’s a crazy process, but it’s all part of it. I would say this album, even more than ‘Yours Truly’, seems to be exploring the sounds of classic era Sublime. Was that a conscious decision on the part of the band? Rome: No, it wasn’t really a conscious decision to make it sound ‘Sublime’. It just was a product of the recording process I think. And Eric (Wilson) and I now have been through some stuff together, so we’re a lot closer than we were during the first album. So there’s a level of input and respect for each other, and more so on this album than ‘Yours Truly’, you can definitely hear what Eric Wilson’s contribution is. Another thing about the new album that reminded me of 90’s Sublime was the cover. Who’s responsible for that? Rome: Oh man, a guy named Drew Brophy. He’s a killer artist out of San Diego, really really talented. Did you tell him what you wanted, or did he come up with it all himself? Rome: He came up with it all himself, just winged it. When Bud (Gaugh) left the band, was there talk at the time of Sublime With Rome disbanding or changing the name of the band? Rome: No. Eric wanted to keep the band going, so as far as that goes, whatever Eric wants, I’m down. But I’m pretty sure Bud wanted the band to go on, and he still makes money off of the Sublime name, so it works out for everybody. He gets to stay home with his family and we get to play with the best drummer in rock and roll. Absolutely. Josh (Freese) is an amazingly skilled drummer. He’s played with so many great bands, what has his contribution brought to ‘Sirens’? Rome: Well he’s a killer musician too. He can play all kinds of instruments. But he’s a great songwriter, got a great ear. He can hear if something in a song is working or not. And of course, yeah, his drumming is just stellar. I’ve never witnessed anything like it. I saw that he wrote one of the faster songs on the record, did he have a big hand in the writing process for the rest of ‘Sirens’? Rome: Well the way it usually works is I will come up with the song and I’ll bring it in and the band will work on the arrangement and production of it. But Josh had put together the song ‘Run and Hide’ while Eric and I were getting lunch. And like an hour and a half later, he’s got a rough cut of the guitar and the drums and the bass and I just hopped in the booth and started singing. That song came together in less than half a day. You’ve been pretty busy with SWR these last few years and you’ve done some things with The Dirty Heads. Do you have anything else going on musically right now? Rome: I have a record that I’m currently trying to find the best way to release, exploring different options. But I’m always writing and releasing music with other artists as well. And I’m executive producing a hip hop album. But staying busy with music man, all the time, that’s what I try to do. So is Sublime with Rome your main gig, or do all your projects take equal footing? Rome: Well, Sublime with Rome, that’s what got me here. So that will always be first for me. I mean I’ll always be creating and producing music no matter what, but let’s say Jay-Z calls and says he wants to do an album with me next summer, but I can’t tour with Sublime, I’d say that’s not going to happen. Sublime comes first. I want to talk about ‘Sirens’ a bit more. It’s a very versatile record. You’ve got ska, hip hop, punk, reggae, dub. What were some of the artists and ideas influencing those sounds? Rome: A lot of Studio One reggae. The real grimy, Lee ‘Scratch’ Perry type stuff. Rome: First wave, yeah. That was the style we were really trying to hit at. Then mix that with banging drums in this huge live room, mix that with MPC samples underneath and it was just this concoction. I mean people are expecting Sublime to make like a reggae rock album, right? Because those are the most popular songs from Sublime. But some of Sublime’s best stuff in their back catalogue was the stuff that wasn’t the singles. Stuff that was influenced by Blag Flag and Greg Ginn for example. And that’s what found its way onto this album. And for someone like you, who has Bob Marley, Biggie and Dead Kennedys tattoos on his arms, it feels like the logical concoction of influences. Rome: Yeah and that’s my biggest influence. Just music, anything. I hear a good band and it can change my life. So every time I create music, I’m always like ‘what’s the music that movies me?’ and I tap into that. You came into this situation in kind of a tricky spot back in 2009. I mean, Sublime is such an influential and beloved band, that to resurrect the name, even with the best intentions, is tough without the original singer. But you fought for the name, released two great albums under it and are kind of hitting your stride as a band now, I think. Do you feel that people are coming to a place where they can accept this version of Sublime for what it is, rather than what it isn’t? Rome: Well, nobody ever wins everybody over. That’s just not the way it works. So I don’t expect everybody to be like ‘yeah, go Sublime with Rome’. But I’ve said it before and it still stands: just come to a show. Come to a live show and then make your mind up about it. If you don’t have a good time, it’s probably not your cup of tea. I mean, I don’t like Thai food. People think I’m f*cking crazy, because I don’t like it, but it’s just not for me. So that’s cool. But I think we’re getting to a place now where we’ve solidified a fanbase. And we have people who are going to come to the shows every year. 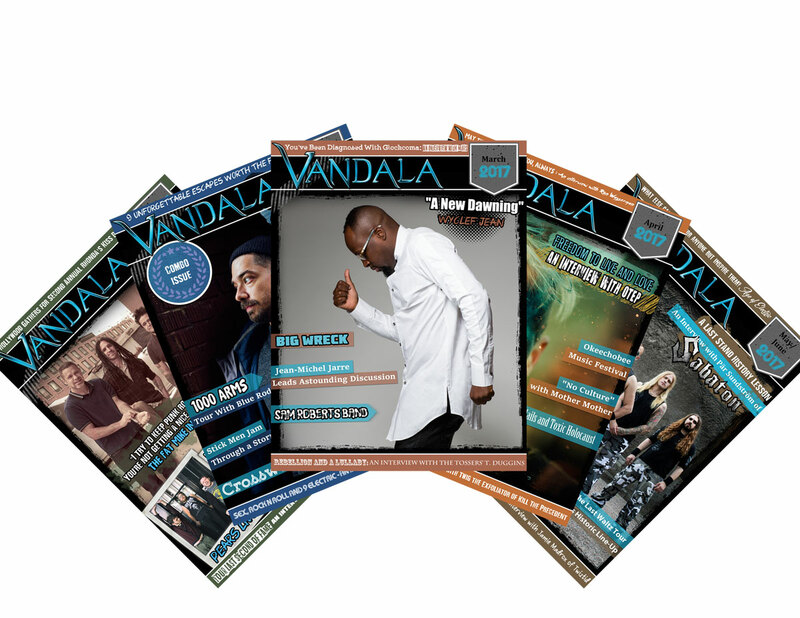 So now it’s time to work on expanding that and taking this band to places it hasn’t been before. South America, Asia, more of Australia and Europe. That’s what’s next for the band. And what is next? Where are you guys headed in the near future? Rome: We’re going to finish up this American tour, drop some more videos and then head to South America I think. So what are your hopes for ‘Sirens’? 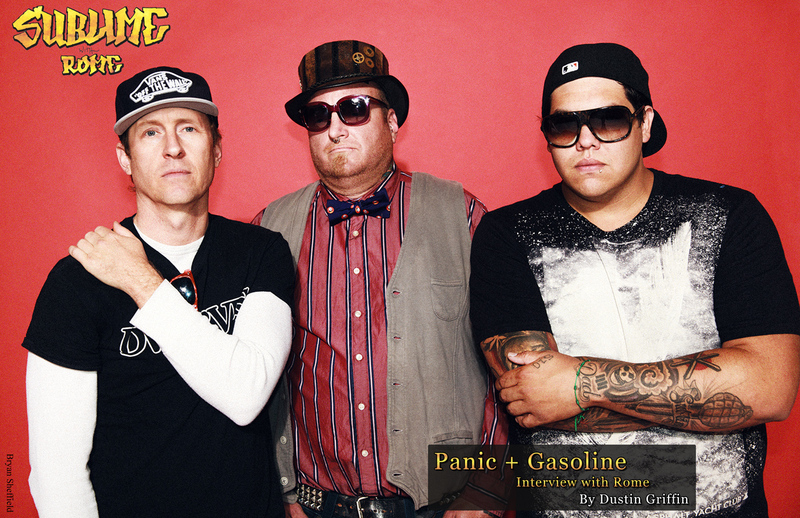 What do you want to see this record do for Sublime with Rome? Rome: I want it to live. I want people to sit with it and listen to it and really get to know it. We’re going to be playing it for the next year or two and hitting radio and the whole thing. And we’ll probably start writing a new one in the middle of that whole process. But the album is definitely mastered to flow. You can put on track one and it’ll just flow. I mean we intentionally let some of the songs bleed into each other. So, it’s meant to just throw on at a party and let it sit, you know? You mentioned earlier that you and Eric have been through a lot together and gotten closer as a result. What does your friendship with him mean for the band as a whole? Rome: Well, Eric said it last night man. We got off stage and he said ‘we just keep getting better and better’. And it’s true, every time we play, we get better. And every town we roll into, we get closer. And everyone in the band is like family. I mean, we see each other more than we see our own families at this point. But that’s going to show in every show, tour, and on every album. The next album will be better and we keep on challenging ourselves to make it better. That isn’t going to change.